I'm been asked by friends to build them a shopping bike. I have a vague idea of making something like the Kogswell PR but with a step through frame. So, any ideas as to what type of frame I should look out for? The friends are a couple and the male is rather tall, about 6ft 3". The female is tall for a lady, but probably a good 6" shorter. You'll want a stiff frame, most step-through frames don't handle well with a load. 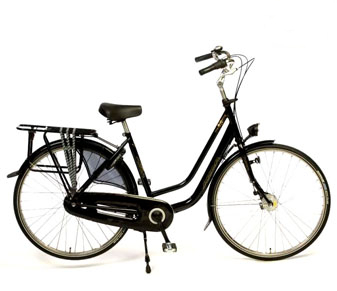 Loaded high-mount front racks only work well with lots of fork rake i.e. low trail. I would prefer a rack fixed to the frame, as the rake on the forks wouldn't have to be so pronounced. My Moulton has the front pannier racks attached to the frame and steering is completely unaffected by any load I have in the panniers. 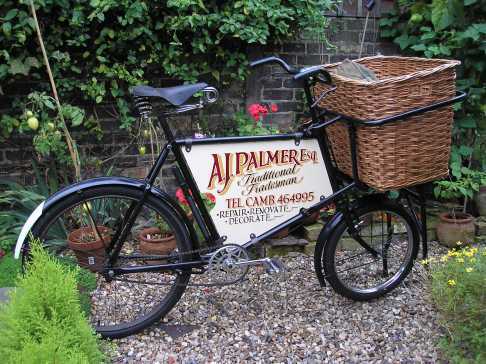 I often see a Pashley Mailstar locked up at the Sainsburys where I buy my lunchtime sandwich. The oversized rear rack is great. If I were doing a DIY job I would make a heavy duty rear rack, using pre-drilled flat bar stock. Any front basket could then be for 'overspill'. 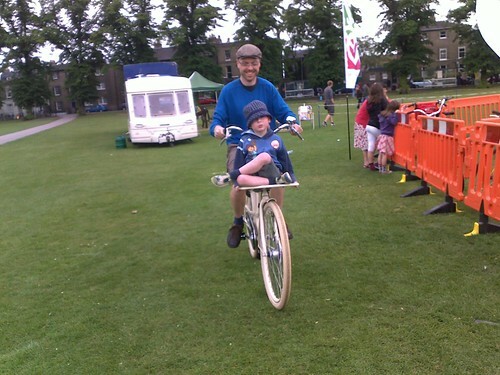 If the frame has to be step-through, a Mixte frame is strong. 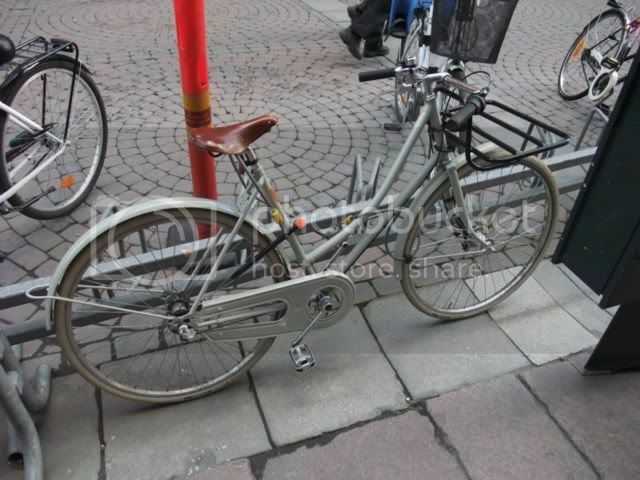 An American chap did LEL on a very nice mixte frame. I had to stop myself from going up to him and saying "See your bike? That's a girl's bike, that is!" I did chat to him on Wednesday morning, asked about his "unusual" frame design, and he said he kind of liked it for its looks. I couldn't bring myself to suggest that it might invite comment from yoofs. Yoofs will comment on the strangest things. I've had this described as a gurls bike despite it being enormous (I'm 6' 5"). Yup. It's a gurl's bike. But it is well equipped to withstand wind effect. It can be prevented from being blown off course by the simple addition of the latest accessory: More weight. ”American”?! I'm not a bloody Yank! Yoofs seem to be better behaved–and/or more enlightened!--than you give them credit for. Apparently, they know that a mixte is a unisex frame (as opposed to a ladies' specific design), as I received no comments from them. The comments I did receive were all very favourable, and they all came from, um, middle-aged male audaxers. 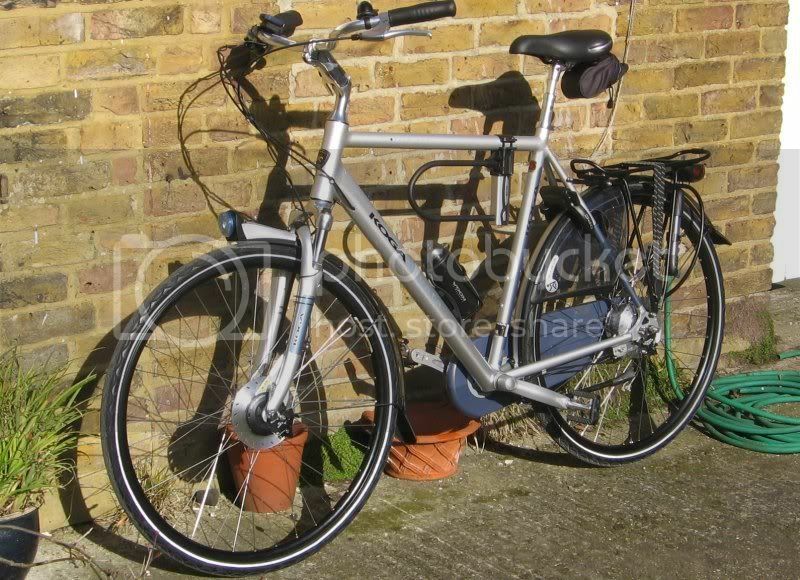 For LEL 2013, I'll have to convert it into a fixie. Let's see what the comments will be like then! I find carrying the weight at the front a lot more difficult than at the rear. I suspect that bikes that are designed for it feel so much better than those that aren't. The carrier on this one is frame mounted, and didn't seem to affect the steering. Azor Lightning; a lovely piece of kit.